Want to go to an event supporting emerging female playwrights? 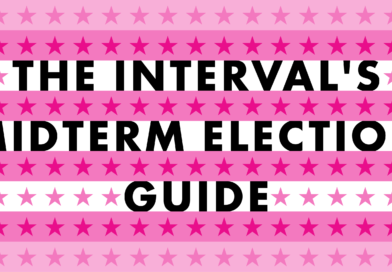 Want to go to an event supporting emerging female playwrights AND that has Jennifer Westfeldt, Julie White, Daphne Rubin-Vega, Lisa Kron, Christopher Durang, Leigh Silverman… and more? If you’re Under 35 we’re offering a chance to win FREE tickets to the benefit for The Leah Ryan Fund for Emerging Writers at 6pm on Monday, October 6th at Joes Pub. You’ll be able to have a cocktail, see the aforementioned performers (hey, you never know who else might show up), and support female writers. The Leah Ryan Fund for Emerging Women Writers gives an annual cash prize (presented at The Lilly Awards no less) to an emerging female writer and presents a New York City showcase of her winning work. The prize is distinct not only for the introduction it provides a new female writer to the theatrical community, but also for having an open submission policy. Plus, this year it’s expanding the fund to offer assistance to writers facing medical emergencies. Sounds awesome, right? Sounds like something you want to be a part of, right? “So how do I win a free ticket?” (insert your name here) asks. 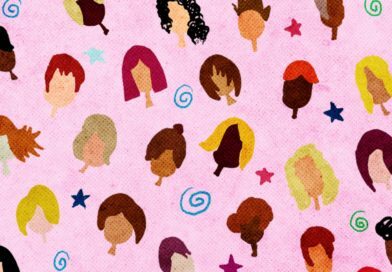 We want to know why YOU think it’s important to see stories by women on stage. 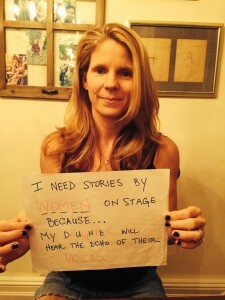 So take a photo of yourself holding a sign that says, “I need stories by women on stage because…” and then finish that sentence with YOUR reason. 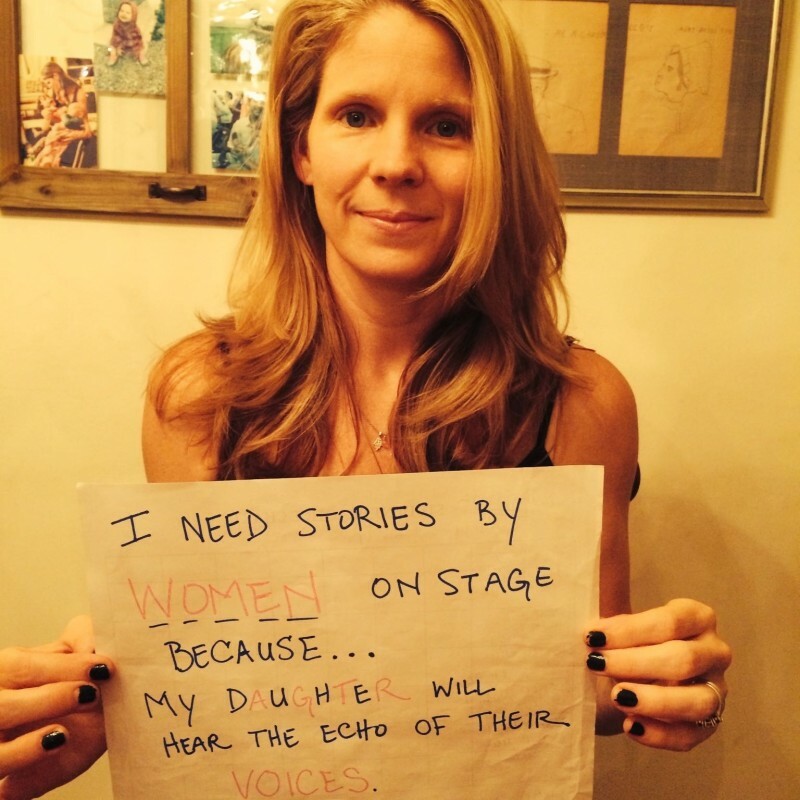 You’ve seen Kelli’s reason, now tell us why YOU need stories by women on stage. To enter submit your photo on Twitter with the hashtag #LeahRyanFund and tag @TheIntervalNY. Three winners will be chosen at noon on Friday, October 3rd and each get a pair of tickets (we know it’s more fun to do things in pairs). Winners will be picked at random by Leah Ryan Board Member Cusi Cram. To learn more about The Leah Ryan Fund click here. 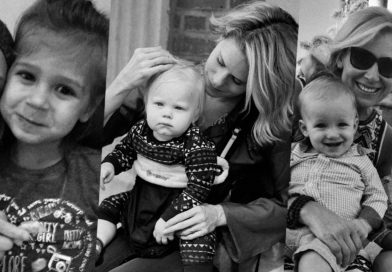 To read what Board Member Cusi Cram has to say about The Leah Ryan Fund click here. And if you just want to purchase tickets (it is a benefit, after all) click here.